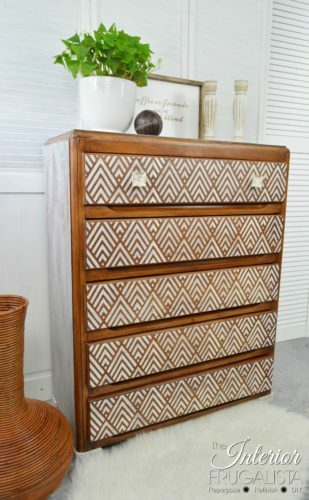 When is a dresser more than a dresser? When it is transformed into something so much more than boxes of wood to hold clothes. 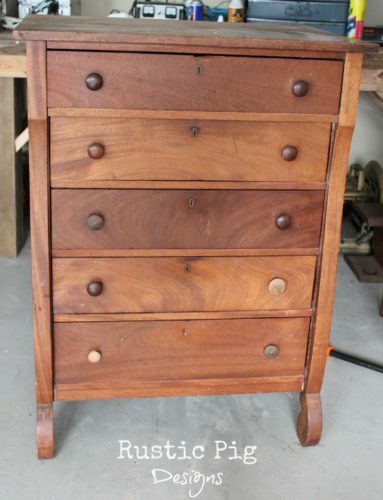 Your dresser is likely one of the most used pieces of furniture in your bedroom. Why not make it beautiful? 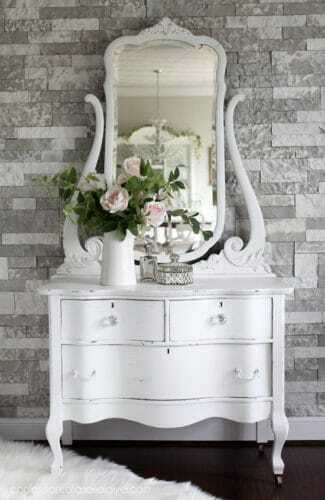 Dressers are so versatile they have made their way out of the bedroom and throughout the entire house. They can be used as an entertainment center, sofa table, dining room sideboard, entryway table or hallway accent. 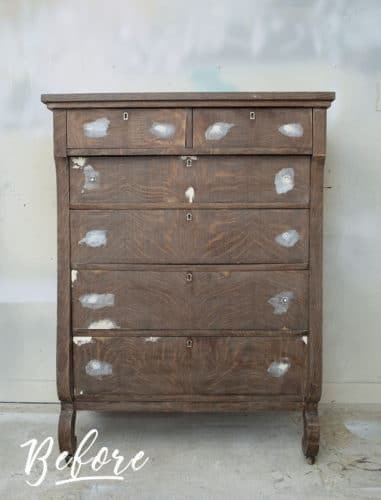 If you have a second-hand dresser you’re not in love with, it’s time to make some changes and create something new. 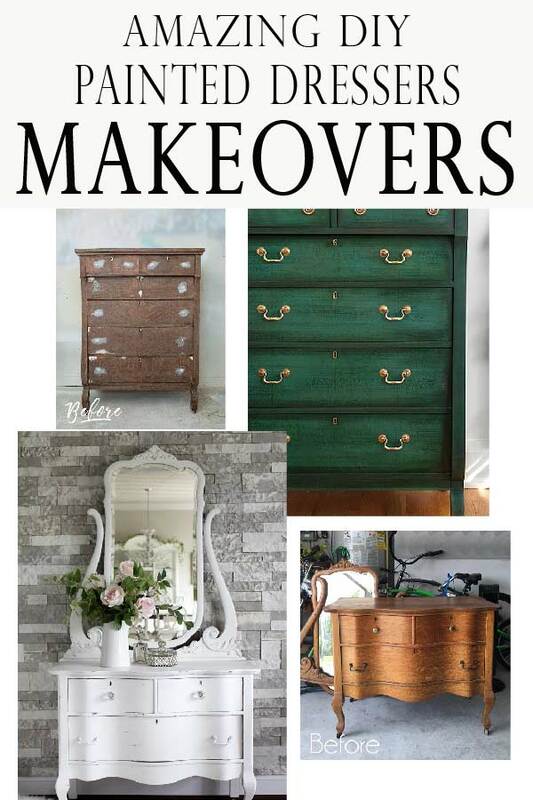 I searched the wide web to find the best makeovers diyers have created on their own, they all did an amazing job repainting and upgrading a regular dresser into something amazing! 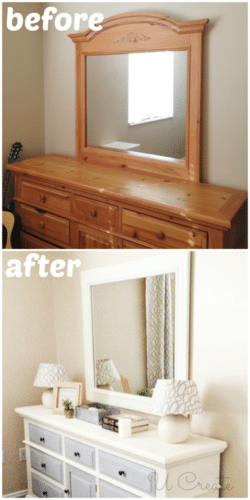 Here are my top 9 dresser makeover ideas! 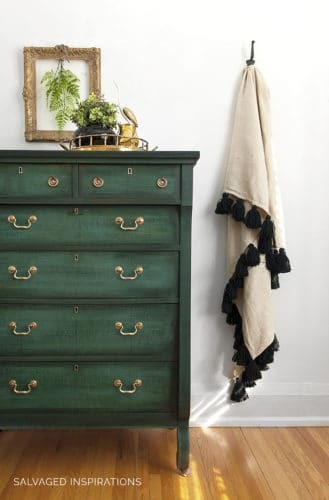 This roadside find was completely transformed with two coats of beautiful green paint, sealed and waxed with an antique black around the edges and drawers. 2. 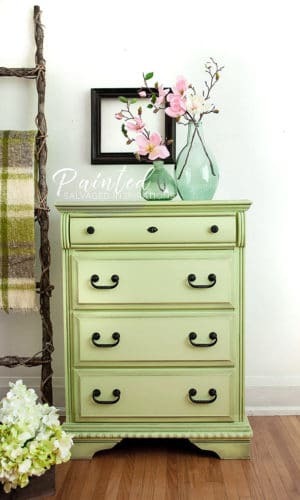 This is an empire dresser that started out as dated and drab before transforming into a work of art. This adventurist tried a layering technique with several different chalk paints, a little water, and come black wax. The end result is absolutely stunning. 3. Chances are if you lived through the 80s you had one of these dressers. Or at least you saw one. But the whole new modern design and whitewashed sides gives it a completely new look. 4. 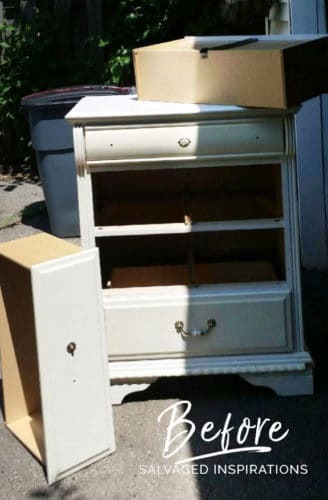 This is another empire dresser with a beautiful shape, but not a whole lot of style. 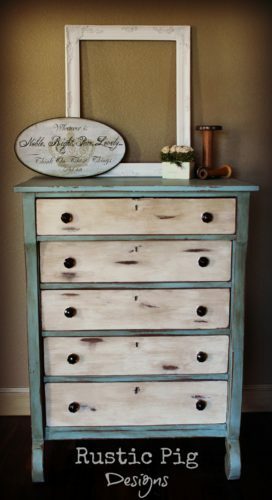 Given a little TLC it becomes a beautiful piece of farmhouse chic furniture. 5. 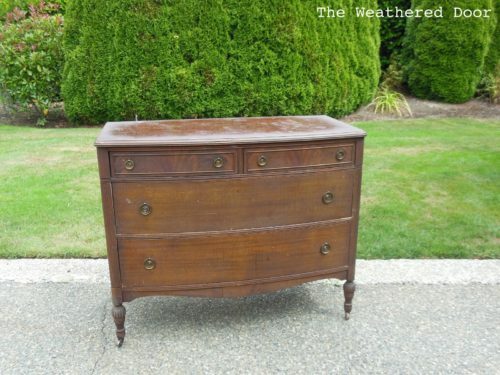 A true antique serpentine dresser is hard to find. So when you find one at an estate sale, you take it. When you give it the love an attention it deserves it transforms into a simple shabby table that looks perfect almost anywhere. 6. 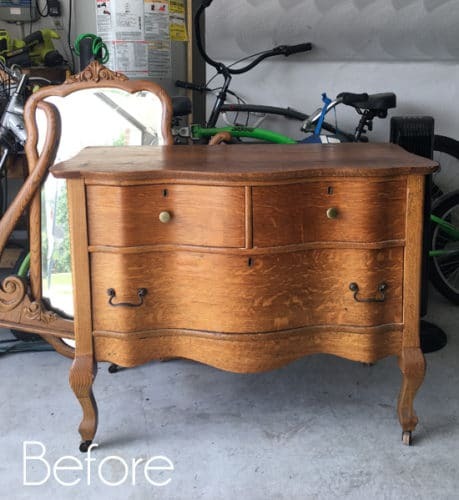 This dresser required a little repair and a lot of cleaning to even see the beautiful possibilities. This DIY-er had vision beyond what I could hope for when she saw past the ugly and created a masterpiece. 7. 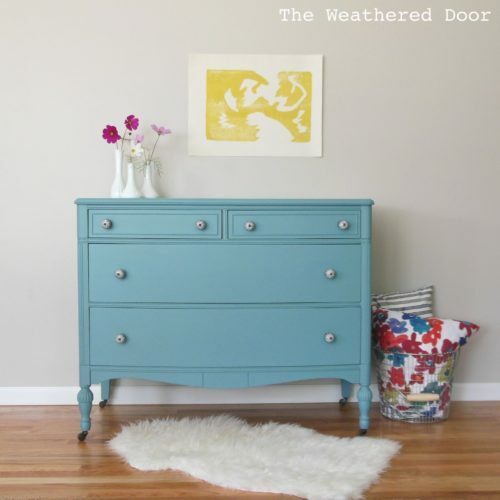 A basic garage sale dresser transformed with nothing but paint and a few new knobs. You don’t have to be an expert to create something absolutely beautiful. 8. Can’t choose a color? Don’t split hairs, use them both. 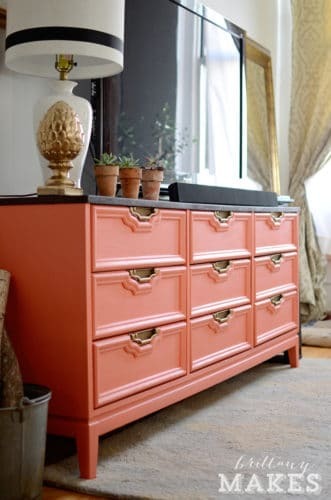 Two tone dressers are a trendy item right now and it’s a great way to add big style to a small space. 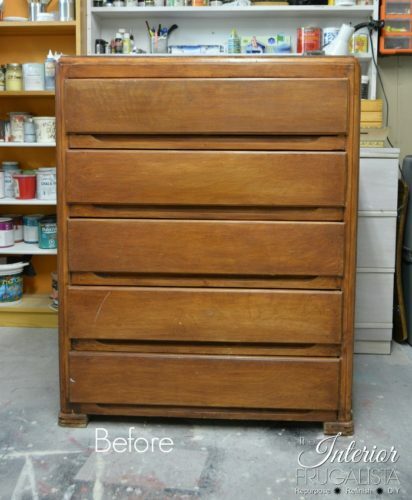 This dresser started out as an outdated relic. Today it has a modern and fresh makeover that brightens the entire room. 9. Missing drawers? No problem. 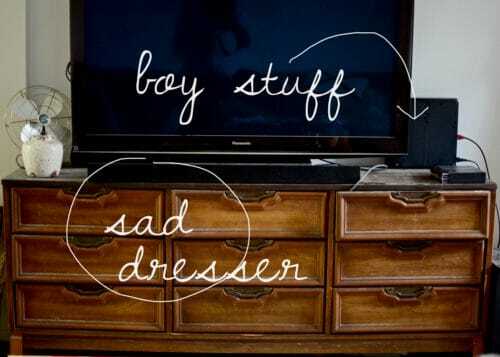 Dressers aren’t just for clothes anyway. 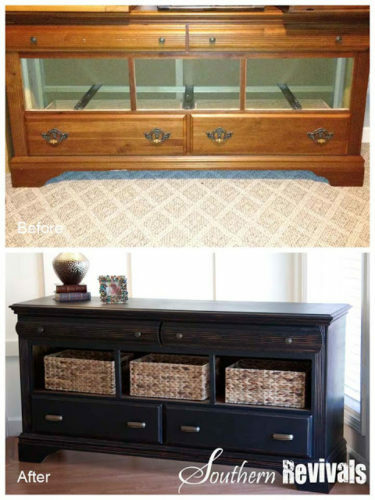 This beautiful dresser makeover got a new color, new style, and new purpose.